Incinerator Model YD-30 for Australia Melbourne customer. From year 2011 to 2013, we delivery 02 different model for this customer, one is model SYC-50 (now updated to Model TS50 PLC) and one model YD-30. Both two model is gas fuel type and these incinerator for local family pet cremation business. 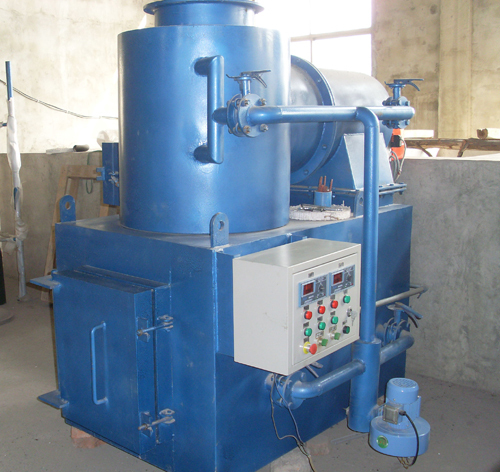 Medical Waste Incinerator YD Model is our classic product for market. All series included burning capacity 10kgs per hour, 30kgs per hour,50kgs per hour,100kgs per hour,150kgs per hour,300kgs per hour,500kgs per hour. Up to now, all models sale to all over the world and have good feedback from end-customer. The YD Model medical incinerator have multi-combustion chamber and basic dry scrubber (smoke filter chamber) with reasonable project budget. For the cleaner emission require, we accept custom made wet scrubber for incinerator and this will be also our next working by focusing on emission technical.